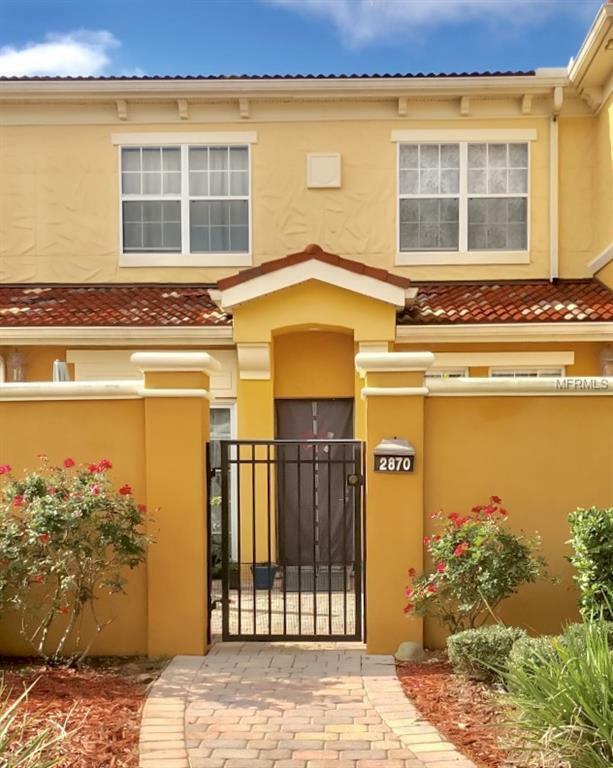 Walk up to this beautiful 2 story townhome, enter the gated courtyard where you can entertain guests. 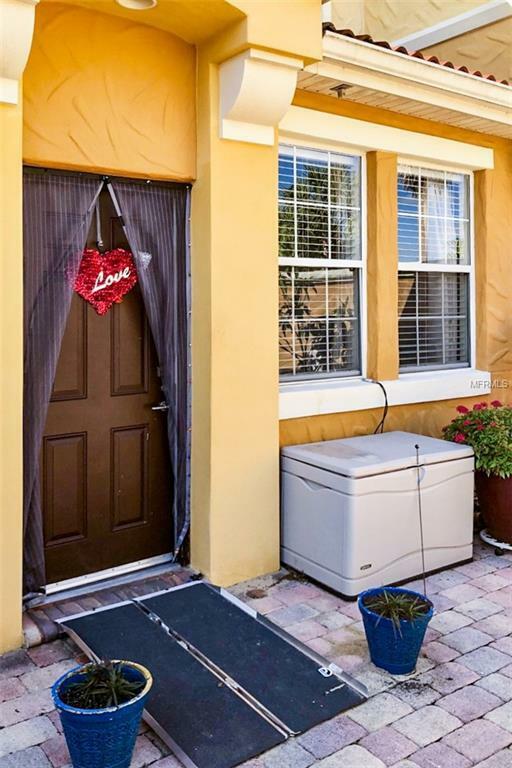 This lovely townhome features 3 bedrooms, 2 baths & is located close to the attractions. It has an open concept kitchen/dining room/ living room. The master bedroom is on the main level & has a lg walk-in closet, w/ a newer sliding door that leads out to the courtyard. The master bath has 2 sinks, one in the main bath area & one outside the bath. There is ample space in the 2 lg upstairs bedrooms. Upstairs also has a full bath w/a shower/tub combo. The 2nd floor laundry closet will fit a stack-able washer/dryer. The home has ceiling fans in all the bedrooms & in the LR. There is crown molding throughout the home, the MBR has ambient lighting in the crown molding. The kitchen has stainless steel appliances. In addition, the home has granite countertops, oil rubbed bronze door knobs/hinges. The downstairs has tile flooring, the upstairs has newer wood-look laminate flooring. For your safety the entire home has an automatic fire sprinkler system which is installed in the ceilings of all the rooms. This home was built w/ solid concrete sidewalls, it has a tiled roof that adds to the exterior beauty and gives the home a Mediterranean feel. The Club house has a heated pool & fitness room w/ equipment. 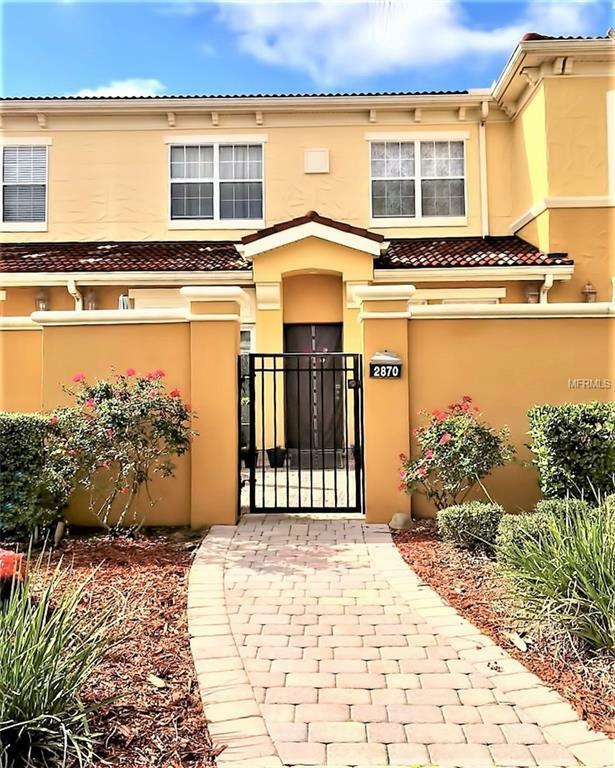 The townhome is suitable as a private residence or for short term or long-term rentals. This property was homesteaded, the taxes include the CDD. Please read attachment regarding additional Development & School. Pet Restrictions The Hoa May Prohibit Any Animals They Are Deemed Dangerous in its Sole Discretion. Pets Must Be On A Leash At All Time And No Animal May Be Tied Outside. 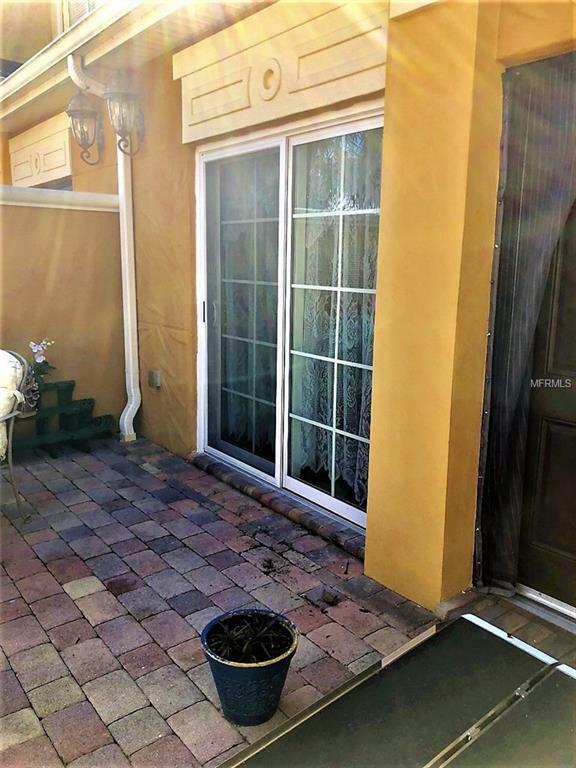 Listing provided courtesy of Arista Realty Group, Llc.